In the 6 years that I have been natural, this is the first time I’ve added heat to my hair care regimen. Shocker right! However, I literally cannot stress how important this step was for me. Heat opens the cuticle layers of the hair and allows the entire product to penetrate more easily and work inside the structure of the hair, thus caring for your hair from inside out more effectively. As a result, I really wanted to get a hair steamer but I also wanted something that was affordable. Instead, I opted for the Aphrodite ultra-conditioning heat cap which was kindly gifted to me as my birthday present of choice! First of all, I start by covering my hair with my favorite deep conditioner. I then wrap my hair up in a bun and add the heat cap on for 30mins. After removing the cap my hair feels super soft and moisturized. 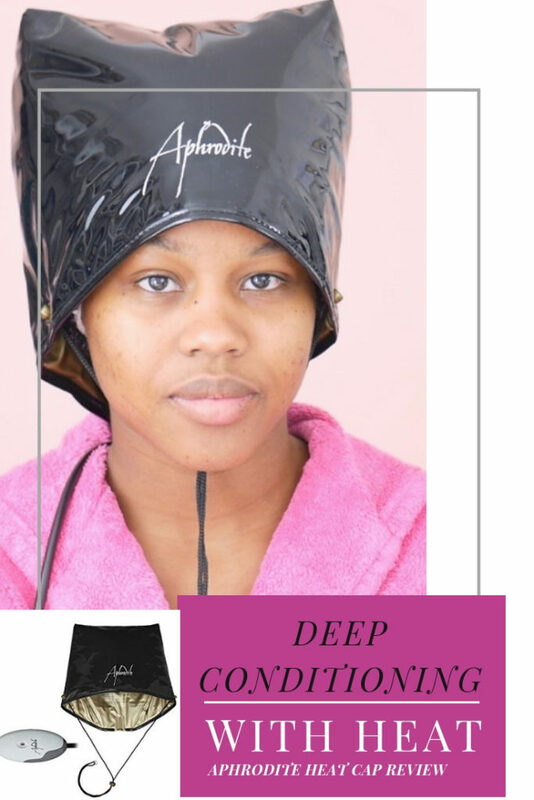 The cap creates a heating process that helps the conditioning treatment penetrate deep into the hair shaft and stimulate blood circulation to the scalp. Giving an all over healthy experience for your hair and scalp. The heat cap retails on Amazon for £29.99, which I felt was quite affordable. It’s portable and easy to store. This is a huge positive if you are lacking in the storage department. Furthermore, the heat cap is really easy to use and set up, the extension lead is not too short which gives you enough room to wiggle about. It also has an adjustable heat setting from 50°C to 65°C and it heats up really quickly. I tend to stick with the highest setting as it doesn’t get very hot, the temperature remains really warm. Another cool feature is the safety aspect, if the heat cap is left on too long it will switch off automatically. After reading a few of the reviews on Amazon, a few people commented that it doesn’t get very hot. My sister also made a similar observation when she used it. For me personally, I think the temperature is just right. If you are looking for high heat then this product is not for you. Also, You may find it restricting as it’s tied to a power cord, this may not be a big deal for me but it’s worth keeping it in mind. What are your thoughts on the Aphrodite ultra-conditioning heat cap? 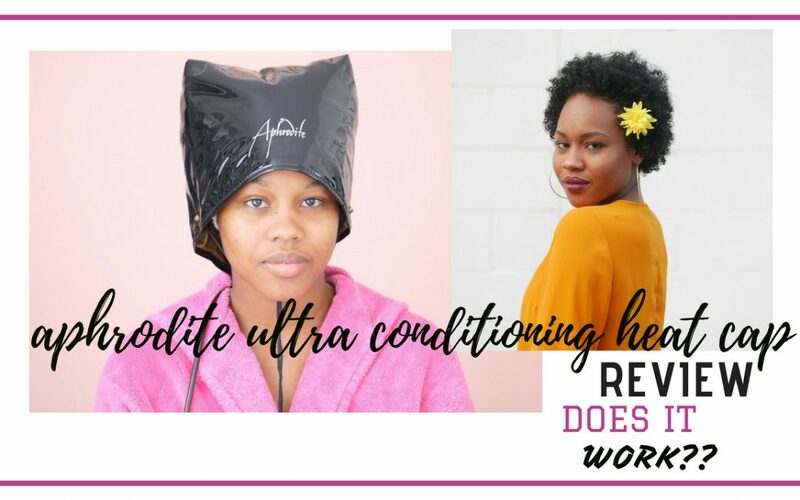 How do you incorporate heat into your hair regimen?